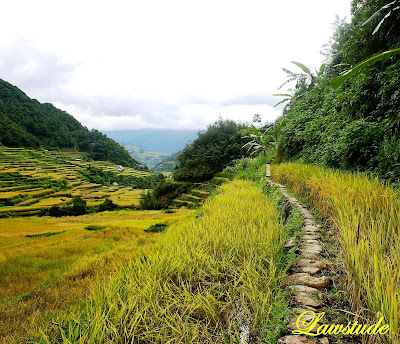 The Hapao-Hungduan-Ducligan Trek is one of the easiest and pleasurable hike in Ifugao. 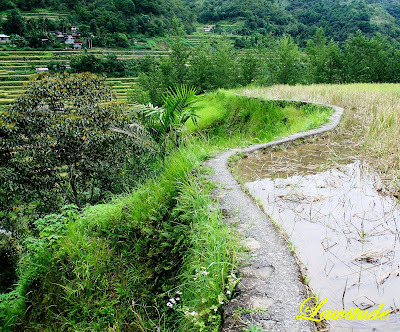 It will take you just barely four hours (back and forth) to walk through the dazzling rice terraces of Hapao and Hungduan which are spread out over the valley floor. 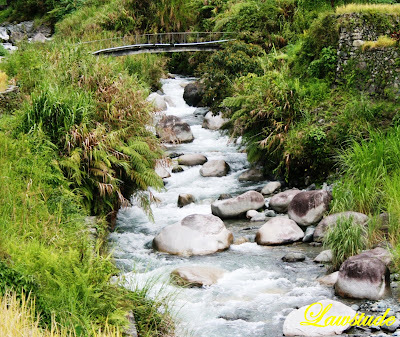 To walk to a small hot springs beside a river in Hapao, you need to take on the concrete steps behind the Hungduan Viewpoint and follow the paved irrigation canal for about 10 minutes until you reach a small group of houses. 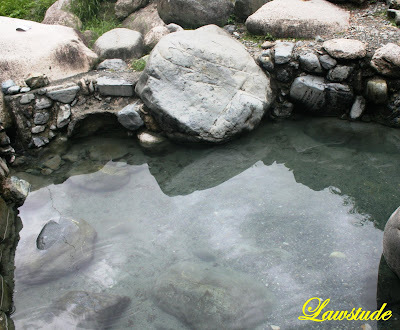 Then, it is another 20 minute hike to the river where you can cool off in the refreshing water or soothe yourself in the warm hot springs. Firstly, in this blog's poll last week, I ask you, my dear readers, where do you want me to go next? The results were not really a surprise. The top vote goes to BATANES while the second and third places go to CAMIGUIN and TUBATTAHA REEF respectively. I always wanted to go to BATANES had several postponed trips to that place in previous years. Your votes just made me eager to go to BATANES and I will probably go there in the summer of 2009 or earlier if opportunity knocks. I just hope that my dream of going there will be fulfilled soon. Secondly, I joined Top 100 Traveling Sites about a month ago just for curiosity's sake. 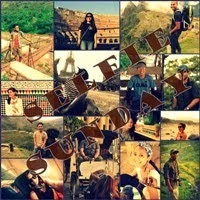 I first saw it in Tutubi's famous Backpacking Philippines and Asia site so I decided to join it. I am just so amazed that in just short span of time that I have joined them, this site is now ranked at 61. I am just so amazed 'coz I really do not know that this site is also getting such attention worldwide. My hats-off too to Tutubi for his site is ranked in the high top 20s. And lastly, I have been receiving e-mails and comments about why am I not posting new law topics. Pardon me for not having to post legal matters in recent months. Thank you for those who have noticed it and I really have some posts made up for taxes and some about the latest laws and jurisprudence. It's just that I still have lots of catching-up to do with regards to postings of my recent travels particularly on Ifugao and Pangasinan. I do promise however that once all of these travel posts are over (it's rainy days anyways), I'll post more about laws and some other stuff. But for the meantime, I do hope that you enjoy my upcoming travel posts. congrats on being ranked 61st!!! :D cheers. So beautiful. Wish i cud go there someday. honga... sana sa batanes. ako din gustong gusto ko makapunta dun. kaso di ko alam. kala ko madalian yung choice mo between batanes and camiguin. hehe. 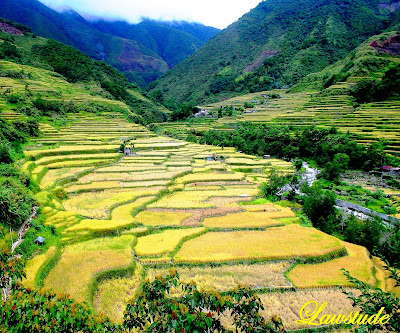 anyways pansin ko lang planting season pa lang sa banaue, samantalang sa hapao at hungduan harvesting na. why is that? Fantastic lawstude... Nice one.. You are just bringing my 6th class social book in front of me.. There only i learned all these things, i mean the fields etc,. Cool!!!! @ nyl - hello. welcome to my blog. and thanx for the compliment. 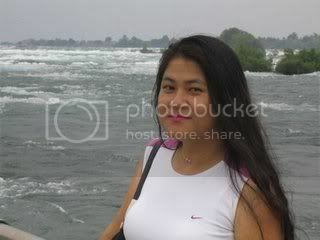 sana nga makapunta ka din doon and pls explore the beauty of our country. @ acey - thanks. the last time i checked i am now ranked 30th. wow. @ vanessa - thanks. hope so too. @ vanny - you shouldn't envy. punta ka na din. @ pensucks - ang alam ko tuwing summer lang pwede doon kasi pag rainy season na eh hindi rin malilibot ang place. @ the islander - pwede rin. punta na kaya ako next week lols. pero teka baka masisante na ko. @ bw - talaga. you just couldn't discount the engineering ingenuity of our native ifugao brothers. @ rio - sarap nga magswimming doon eh. ang init ng tubig. @ selerines - thanks. glad to be of information to you. as of this moment po, you are elevated to top 25 in top100travellingsites. me on the 76th spot. nyaha. at least. love the first pic! galeng! lawstude number 18 ka na! as i checked it today. congratulations! tingin ko sa number of hits nakabase ang poll. 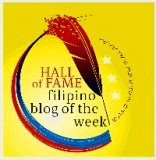 ibig sabihin dami na talagang bumibisita sa blog mo. yihaa!!!! astig ng mga shots. pumunta ako ng kapangan pero hindi ganito kalaki ang mga rice terraces. i like the photos, puro green. cool sa mata. maganda ang pagkakuha lahat. parang postcards. tapos yung may mga magsasaka parang painting. sunny and beautiful place...! wish i could go there some day...!! I like these travels, I hope for more and more, excellent. @ freddy - thanks and welcome to my blog. the place indeed is very scenic. @ islander - oo nga. ngyun 19 naman. 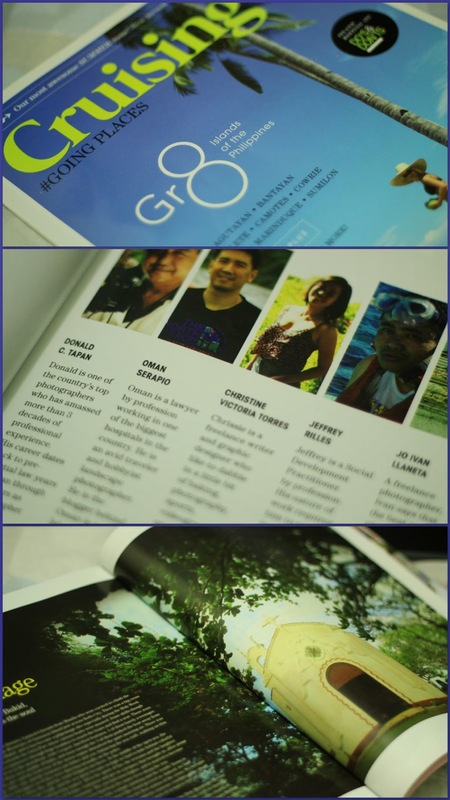 btw congrats and more power to pinoy travel bloggers. @ coldman - ganda ng kulay ng first pic kaya gusto ko talaga yun. 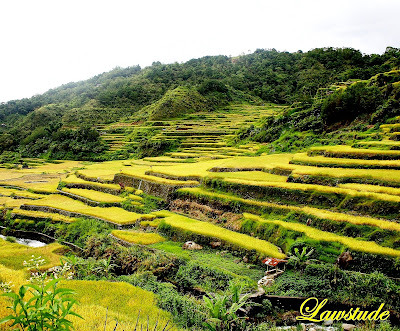 @ the dong - akala ko magkakamukha lang ang rice terraces ng ifugao pero di pala. ibaiba sila ng features lalo na yung sa batad. @ redlan - thnx buddy. although i considered this trip one of the toughest because of the hikes, nevertheless it is one of the most enjoyable one. @ shades - thank you, glad you like the place. @ ely - wow. thnx. @ kingdaddyrich - oo naman pwedeng pwede. 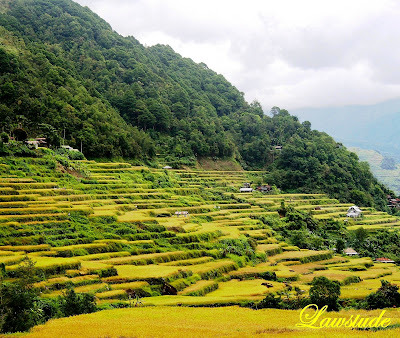 @ daniel j santos - i got at least a couple more posts about ifugao. glad u like 'em. the first pic wowed me!hehe. there's something different in that pic. ganda ng kulay. batanes is also a nice destination kuya. i was able to watch a TV show before na nag-feature sa batanes. ganda ng design ng houses dun. congrats on the making it to the Top 100 Traveling Sites sir! definitely well deserved. amazing! must be great wandering around there! Fantastic pictures and very nice blog! I've just seen your interesting post about Lourdes Grotto: this year is the 150th Anniversary of the Virgin Mary Apparitions to Bernadette Soubirous. you;ve certainly shown us beautiful places with your camera! Great photos and I will enjoy going back and checking out your other posts. Thanks for dropping by Rabaul DP. I thank for the visit and the comment. Yours blog is very good, with informative and full travelling information posts but also beautiful photographs! Thanks for dropping by my blog and the nice comment. Your photos are beautiful. It's as if I'm traveling with you and enjoying the amazing sights. Awesome! I will be back! Love the photos pare! It shows the true side of nature, di ba? Sorry I haven't been visiting for a few weeks; currently operating on a friend's computer na, and my links are in my e-mail. Will be back regularly once I buy my new machine. @ luna miranda - thanks. another pressure to improve my posts lols. i love to go to Batanes. it is one of my dream destinations and i already have lots of infromation about the place. @ beero - i also like that pic a lot. the mountain background is just so amazing. hey. i added u to my friendster bro. 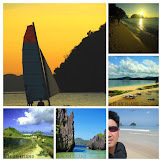 @ allan barredo - the place is just awesome so you won't regret going there. 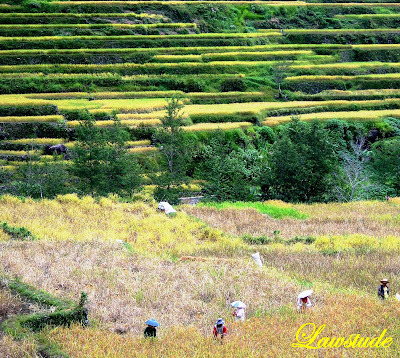 @ lara - thanks lara, indeed, its great to just wander around the rice terraces. @ ash - wow. thank you for liking the photos. i appreciate. @ alicesg - please do. there are lots of great sites in there and i am just so lucky to be included in top 100. @ shionge - thank you. 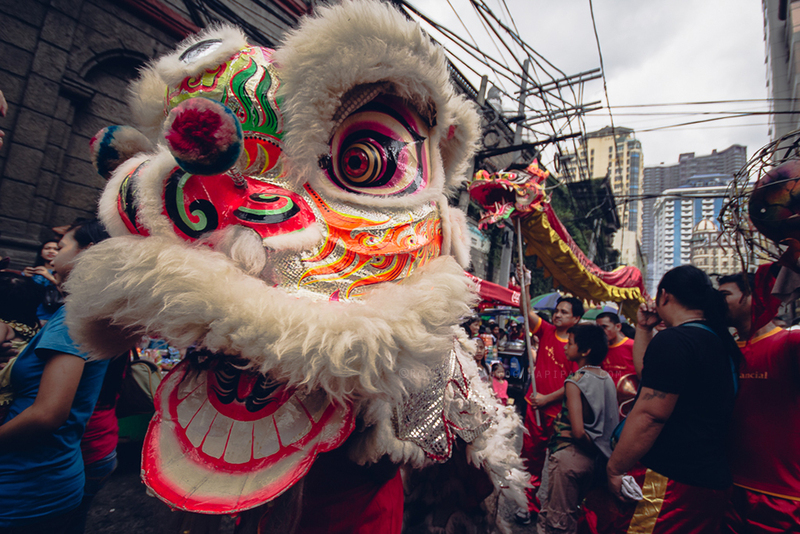 i really love to travel 'coz it relieves stress and i got to experience various cultures. @ pietro - i love the virgin mary, we have the same birthdate so i pray to HER a lot. @ mediterranean kiwi - thank you, it is my pleasure to share my beuatiful country with you. @ jules - your welcome and thank you too. @ kostas - wow. thank you for the nice comment. i appreciate it very much. @ stanley - thanks stanley, i am just lucky to have so many visitors in this humble site. @ michelle - thanks. it's my pleasure to share my journey with you. @ kyels - i agree. the place is just right for nature and landscape enthusiast like me. hope ur machine arrives soon. take care. Thanks so much for dropping by my blog and for the nice comment. Your blog is interesting and just wonderful. It is full of fantastic photos of so beautiful landscapes. I really like it very much. Ang ganda talaga ng rice terraces. Gustong-gusto ko marating yan kasi sa mga pictures at tv ko lang yan nakikita. Sana bago ko mamatay marating ko yan. your blog is amazing!thanks for the comment on my blog. Many thanks for your visits to Norwich Daily Photo. I hope that you enjoy the colours of summer on my blog. galing kuya, you really captured its beauty! LS: What a great sight the terraced rice paddies are. It does look like a great walk. Do you see much in the way of animal or insect life on your walks? This was like watching The Discovery Channel or reading National Geographic only WAY BETTER! Wonderful photos. I enjoyed my visit very much. Thanks for your visit to my Carousel horses today. Muchas gracias por tu visita y tu comentario, tienes un blog con unas fotos extraordinarias, volveré. Oh wow, that is so beautiful..what a place for a hike!! @ medam - thank you for liking it. my country is just blessed with lots of beautiful scenery and i am just happy to share them with you. @ vinzent - pare negative naman yung mamatay lols. punta ka na agad. @ pts - thank you too and welcome to my blog. @ joy - it is about 8 hours from manila but the long ride is definitely worth it. @ my-so-called-quest - salamat doc. good luck din sa studies. @ fishing guy - i have seen lots of birds and insects there and just few lizards. and lots of domestic animals like cows and dogs too. @ laerte pupo - your welcome and thank you for the visit too. @ carletta - wow. i really appreciate it. just to be compared with those nature channels is a compliment in itself. thanks a lot. @ george - gracias señor and bienvenido. @ catherine - thanks cat and enjoy your week too. @ luzdeluna - gracias señora. bienvenido mi blog. IS ALL THIS YELLOW REAL??? @ stardust - the place is just so marvelous that any photographer couldn't go wrong. @ digital polaroids - yup it is. maybe played with some hues but the crops have already been harvested so the fields are all yellow.